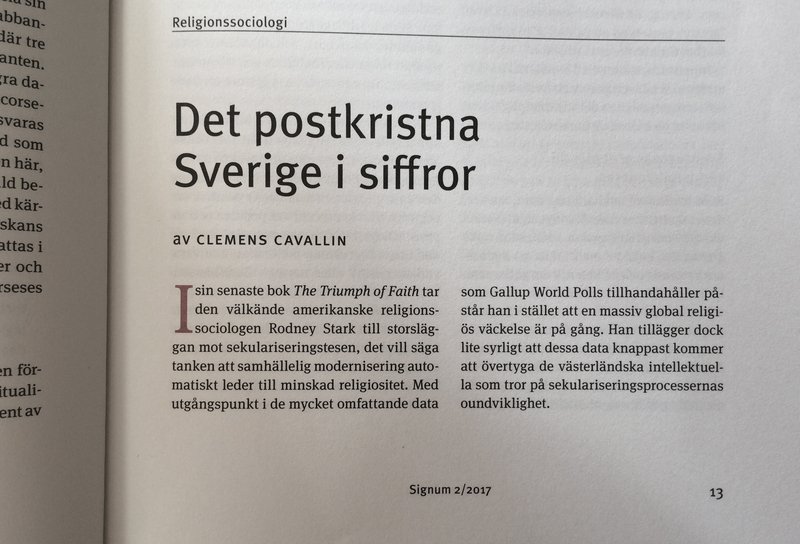 My article “The Post-Christian Sweden in Numbers” (in Swedish) was published in Signum 2017 no.2, pages 13-18. 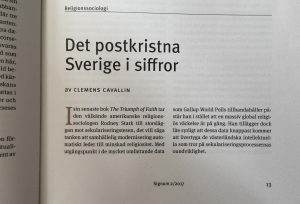 It is a reflection on data from polls performed by the SOM institute in Gothenburg in relation to Rodney Stark’s book The Triumph of Faith, which is based on data from the World Gallup Polls. Here is a recording of a talk I gave in Zagreb last year. 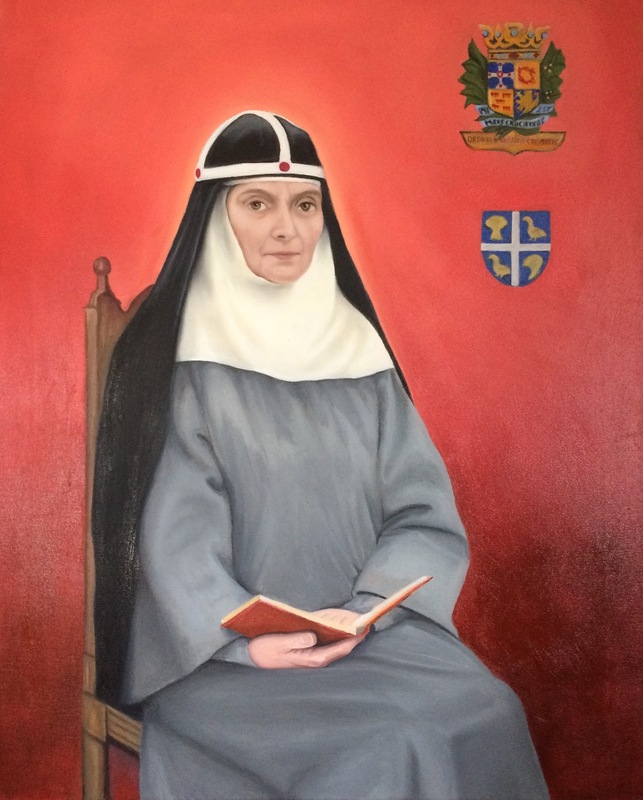 My painting commission of Elisabeth Hesselblad, the latest Swedish saint, for the Catholic Church in Borås, Sweden, is finished. 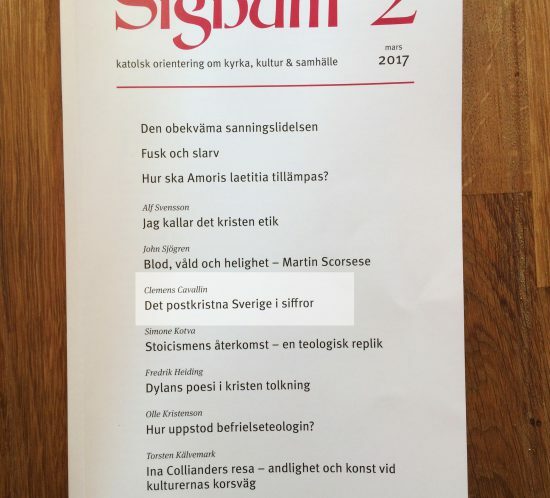 My article on the reformation in Sweden and the visit of the pope in 2016 is now published in an edited volume by Angelico Press. My biography of Michael O’Brien, the Canadian novelist and artist, is now published by Justin Press (Ottawa). 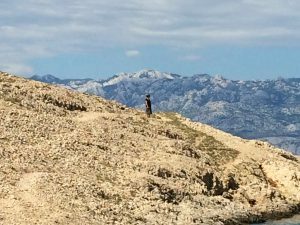 Here is the full version of my talk presented this summer at the Roman Forum in Gardone, Italy 2016. 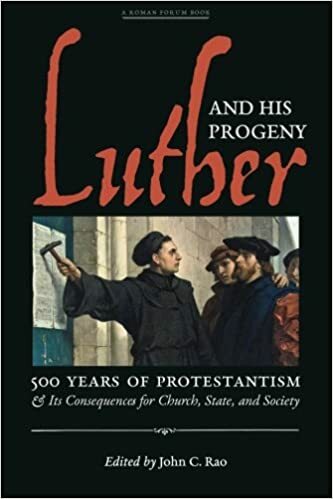 It was later rewritten after the visit of the Pope to Sweden later that year and will be published in an edited volume in 2017 by Angelico Press. My article on Michael O’Brien’s Science Fiction novel has just been published. 2015, “Consolations of a New Earth: The Benefits of Science fiction for Catholic Theology” LIR Journal 4: 37–48. 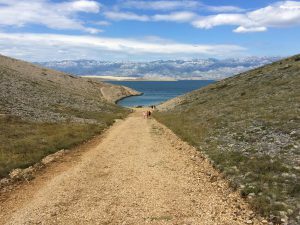 During this year, I will explore the possibilities of using video in my teaching. This is the first example I made from footage I took in India for two years ago. I have just finished a painting commission of St Teresa of Avila for the Carmelite convent in southern Sweden and made a little video of the process. St Teresa of Avila 2015 A Painting Commission from Clemens Cavallin on Vimeo.